Backstop plays the catcher’s position for any team in any city in America with a major league ball club. You cheer him when he delivers, and boo him when he doesn’t. Told in his own words during the seventh game of the World Series in what could be his last game after fourteen years in the major leagues, Backstop chronicles his rookie season, takes the reader to Chicago where he finds romance, and reveals his heartbreak in the aftermath of an adulterous affair. 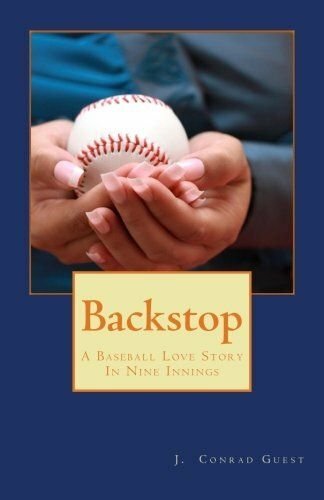 Cheer for Backstop on and off the field as he plays the most important game of his career—haunted by the ghost of his father who passed away before Backstop achieved stardom—and fights to win back the heart of the woman he loves more than the game. I looked at some of the items for sale on the counter-top, my eyes alighting on a dish of blue marbles, maybe three-quarters of an inch in diameter, painted to look like globes, the continents painted on the surface in remarkable detail. I picked one out of the dish and asked how much. The woman said nothing, but her complexion flushed, more from embarrassment than from anger.